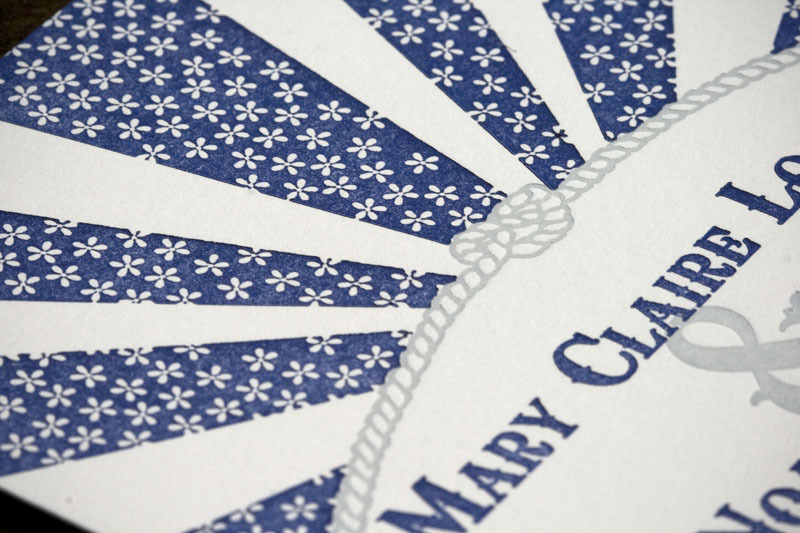 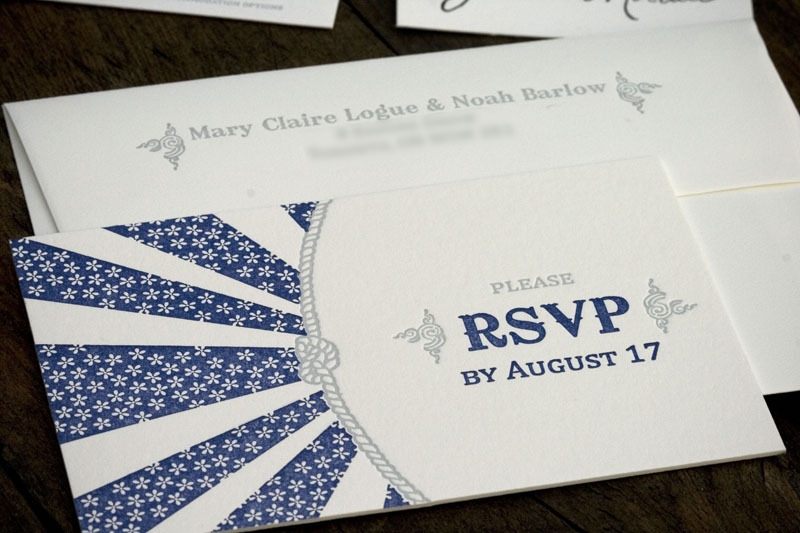 We love it when clients order full suites of our invitations, which is what Noah and Mary Claire did when they chose our Heartland design to be printed in navy blue and pewter. 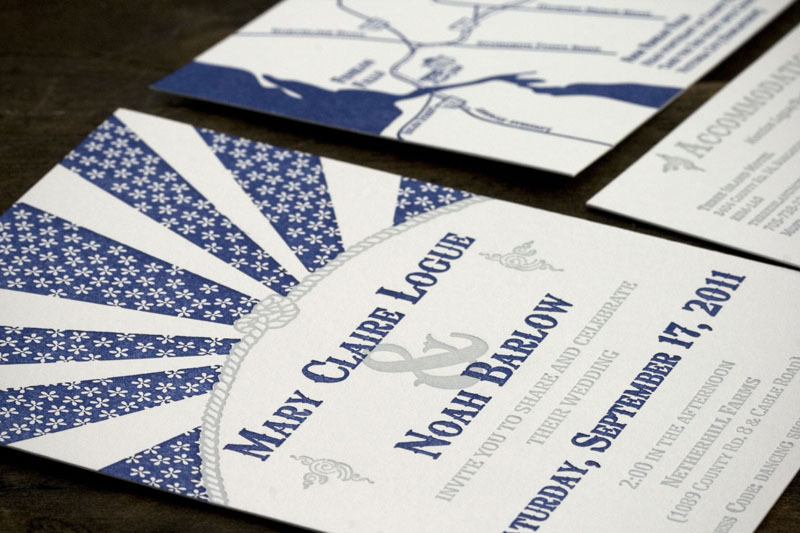 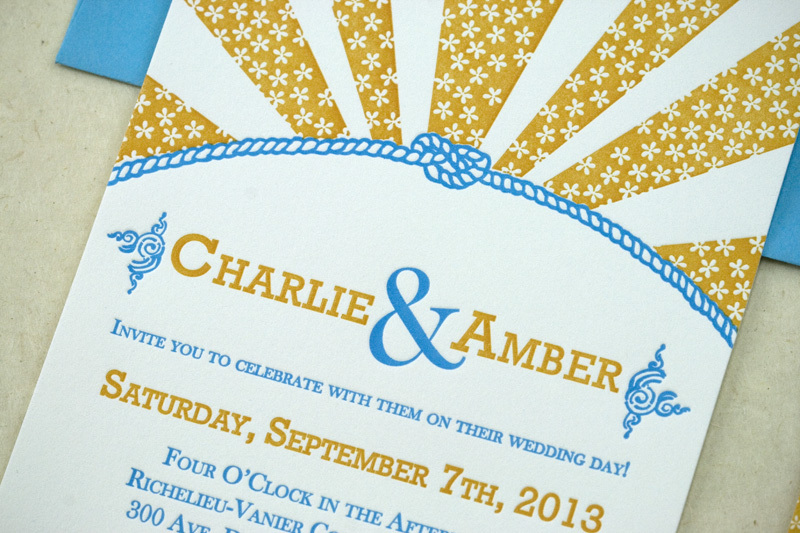 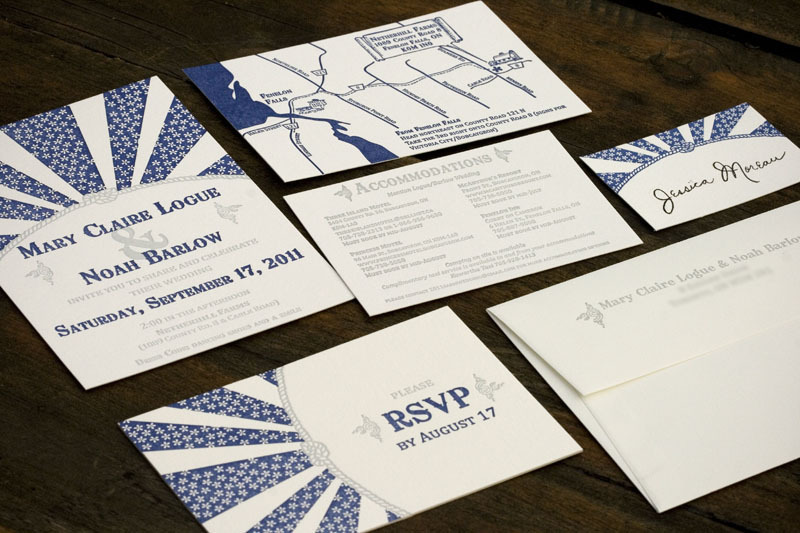 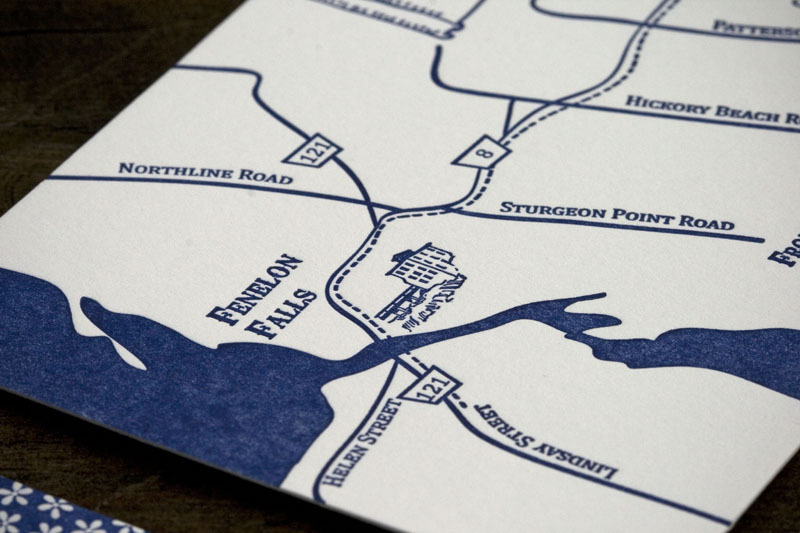 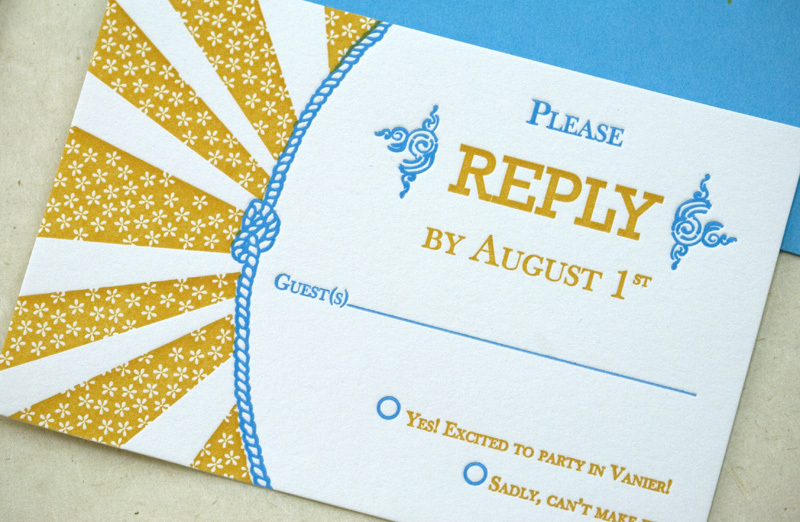 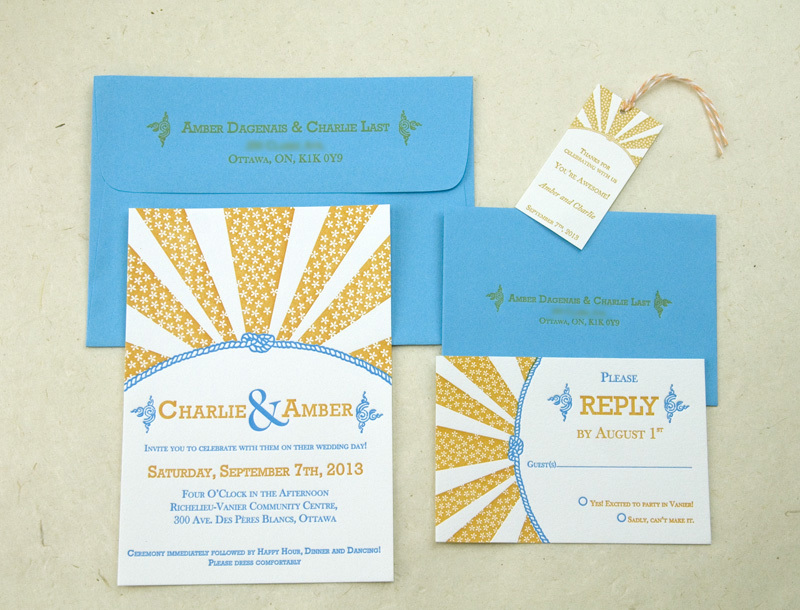 This 6-piece invitation feature a custom illustrated map and a reply postcard printed on double-thick Lettra. 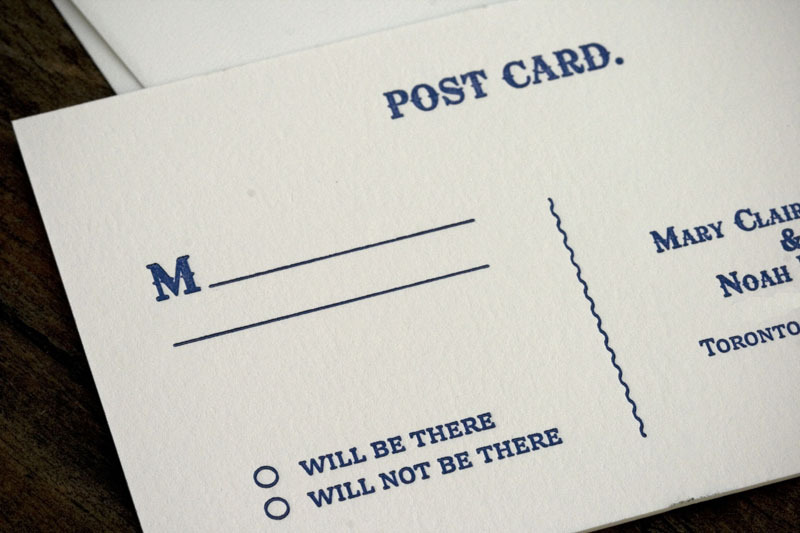 We can’t ask for more than that!